Stand up. Sit down. Walk. Run. Sleep. We engage in these activities everyday (well, maybe not running), but how much do we know about ourselves and our bodies while we’re in the midst of them? Are you standing up straight? Are you slouching at your desk while you read this sentence? 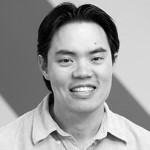 In this Toolmaker Talk we’re going to hear from Charles Wang, one of the founders of LUMOback – a posture sensor and mobile application designed to support back health and improve body awareness. Watch (or listen to) our conversation with Charles below then make sure to read our short interview to learn more about the story behind LUMOback. Q: How do you describe Lumoback? What is it? 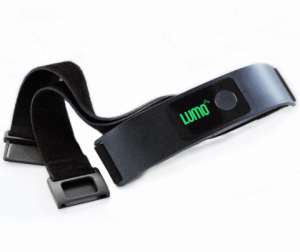 LUMOback is a posture and movement sensor that you wear around your waist. It gives you real time feedback in the form of a vibration when you are slouching, both when you are standing and sitting. 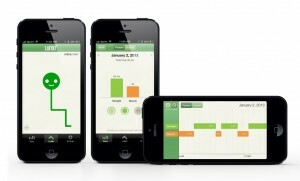 It also connects wirelessly to a mobile application, where it tracks whether you have been straight or slouching, in addition to sitting, standing, walking, running, and sleep positions. One key feature of our mobile application is LUMO, the real time avatar. LUMO mimics what you are doing in real time, and gives you real time visual feedback so that you can understand and be aware of what position your body is in. Q: What’s the backstory? What led to it? Andrew Chang, Monisha Perkash, and myself were funded by Eric Schmidt’s Innovation Endeavors to find a big problem to solve, and build a growth business around it. We didn’t have to look very far to find the right opportunity. Andrew, one of the cofounders, has had chronic lower back pain for the past 11 years, and nothing really seemed to help him. He went to physicians, physical therapists, chiropractors, and tried acupuncture and other minor procedures. It wasn’t until he learned about postural correction by taking a set of posture classes where he started to understand how critical posture was in alleviating his back pain. In fact, once he began paying attention to his posture, his back pain significantly improved. We as humans were designed through evolution to move, but now we spend most of our time sitting, and in most cases, sitting poorly. This means that improving posture and encouraging more activity can have significant impact on people’s health and wellbeing. Studies show that back health and posture are correlated, as is posture and confidence / attractiveness. It’s no wonder that physical therapists, chiropractors, and spine physicians stress the importance of posture. The challenge of improving posture is twofold: 1) Most people have very little body awareness, let alone understanding their sitting and standing postures, and 2) Most people don’t have the resources or the time to take posture classes. This is where we realized that we could use technology to solve this problem, so we started prototyping and iterating, and this is what led us to create LUMOback. Users tell us that LUMOback has changed their lives, and either that their back pain has gone away through using the product or has significantly been reduced. People also frequently tell us that they are now very aware of their slouchy posture, which leads to posture correction, and again, awareness is the key element involved in making postural changes. In addition to telling people whether their posture is straight or slouched, we can tell them whether they are sitting, standing, walking, running, and their sleep positions. The ability to differentiate between sitting and other activities is a clear differentiator for what we do. Q: What are you doing next? How do you see Lumoback evolving? We are constantly making improvements to LUMOback, from the application experience to the accuracy of our ability to detect different biomechanical states. We pride ourselves on being open to feedback and are constantly trying to improve and iterate on our product based on what our users tell us. This is the most exciting part — truly solving problems and needs that people have. We really are at a point in time now where mobile technologies will help us to solve challenging health problems in ways we couldn’t have imagined even several years ago. This is what gets the LUMO team super excited! This is the 19th post in the “Toolmaker Talks” series. The QS blog features intrepid self-quantifiers and their stories: what did they do? how did they do it? and what have they learned? In Toolmaker Talks we hear from QS enablers, those observing this QS activity and developing self-quantifying tools: what needs have they observed? what tools have they developed in response? and what have they learned from users’ experiences? If you are a toolmaker and want to participate in this series please contact Ernesto Ramirez.